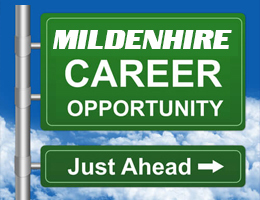 You can rent a van for a half a mid week working day. The time slots you can choose from our 9am to 1pm and from 1pm to 5pm. 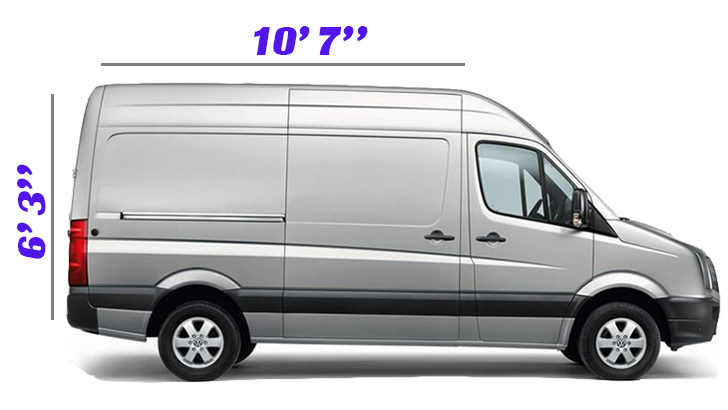 Ford Transit vans and Volkswagen Transporters are all not more than a year from new. 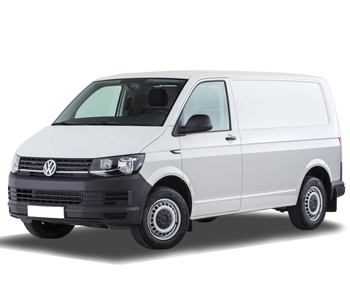 All of our vans have bluetooth and our VW's are available in automatic as well as manual gearbox. 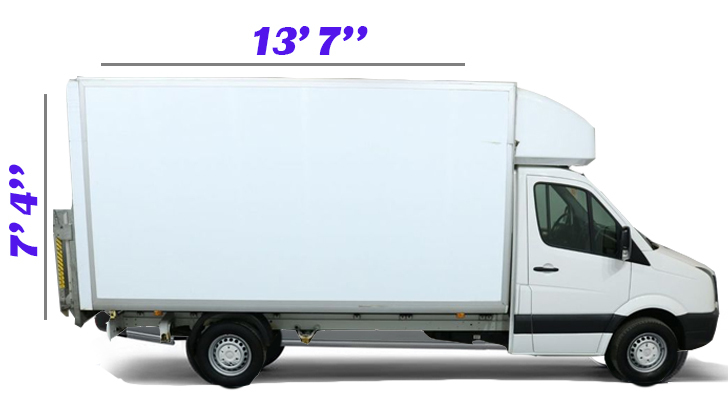 We have long wheel base, 9 foot 7 inches and 8 foot 4 inches long at the floor. This rental price is plus £5.80 VAT. 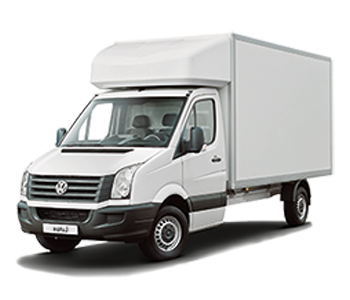 All Lutons have a tail lift and roller shutter rear doors and are only available in manual. Prebooking is essential. 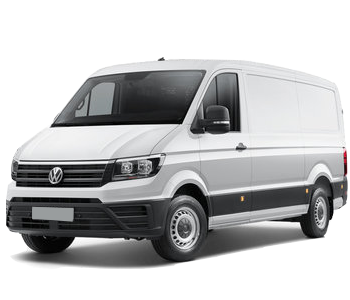 We also have VW Crafter and Sprinter vans. These too are only available in manual. Please note though we do have automatic vans with the VW Transporter People Carrier MPVs Volkswagen Touran seven seats with little luggage space. Volkswagen Sharan seven seats with more luggage space, much more with seat 6 or 7 folded down. 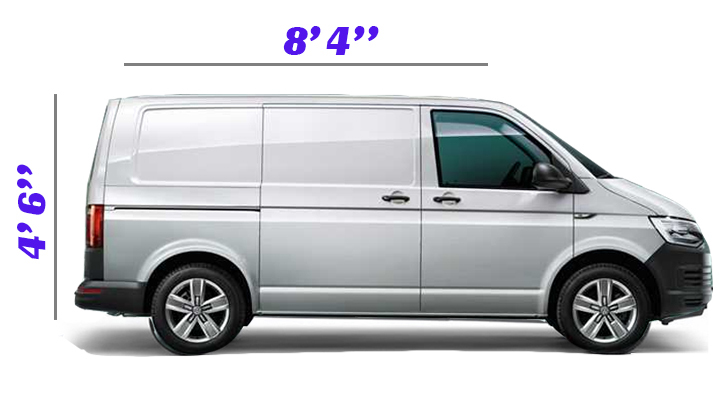 Volkswagen Transporter shuttles are now all long wheel base nearly doubling the luggage space.